NOVOAIR Limited Job Circular 2019 has been published by their authority in daily online job portal and to get from the best jobs and the education portal website in BD Jobs Careers- www.bdjobscareers.com. For the user understanding, we would like to inform you that, It’s a leading group of company in Bangladesh. They offered attractive post position for Bangladeshi young jobs seekers. Also they offered very attractive remuneration and related services benefit for the circular. We have recently collected the circular from their website. 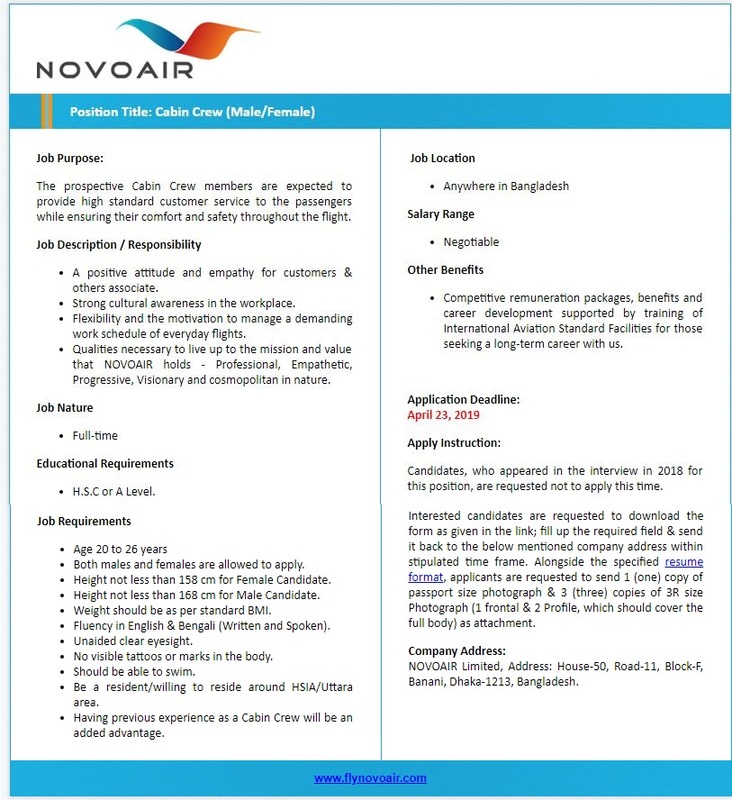 Here are attached below the original novoair jobs circular 2019 on image file.